There’s much work to do when it comes to equality between the genders in the workplace. However, I like to think about how far we’ve come, especially during this time of year when we tend to reflect on what we’re grateful for. Working women before us had so many barriers to overcome and thanks to a few braves ones, I enjoy (and sometimes take for granted) the opportunities I have today. In the early sixties, in Britain, a woman couldn’t open a checking account without her husband’s permission. Around the world women couldn’t go to work without the fear of sexual harassment on a regular basis. Have you seen MadMen? There were barriers, legal and social, preventing ambitious women from finding their place outside the home. There were those women though, that resisted and fought against these constraints. They had the guts and tenacity to stick it to the status quo and made real changes for the rest of us. Dame Stephanie Shirley is one of them. 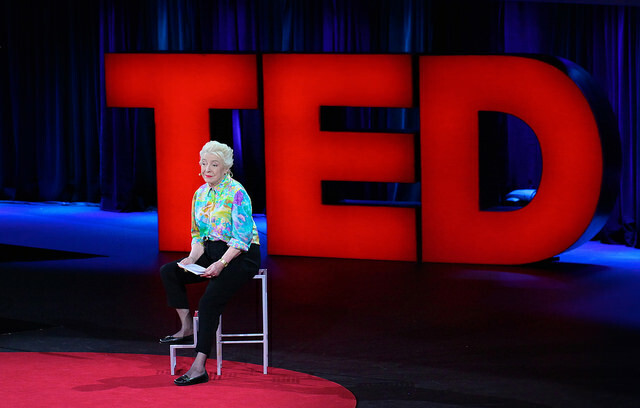 Dame Stephanie is the most successful tech entrepreneur you’ve never heard of. She founded a software development company in the UK in 1962 with mainly women as employees. That was unheard of at the time. She also pioneered many of the modern workplace practices that we enjoy today. The two most important, in my opinion, being flexible work schedules and employee shareholder options. She started her company in her dining room with the mission to help women get jobs and to avoid misogyny in the workplace. The company was called Freelance Programmers and many, if not all, of her employees worked from home. She believed that women could have a career and be mothers without compromising productivity. What Dame Stephanie discovered in the EARLY SIXTIES, was that it had a positive impact on the bottom line. Her company was ultimately valued at $3 billion. Among many projects, her team programmed Concorde’s black box flight recorder. Dame Stephanie fought against the kind of resistance that I will never know. The simplest thing, like signing my real name to business correspondence, is something that I don’t even think about. Dame Stephanie discovered that she had to sign her business development letters as “Steve Shirley” so her potential male clients would agree to meet with her. The only problem, albeit a hilarious one, was when “Steve” showed up to the meetings and was actually “Stephanie”. After being in business for 13 years, equal work rights passed in Britain. She was now legally required to hire more men in her mainly women software company. Women like Dame Stephanie, made the business world take women seriously. They fought against obstacles and sacrificed their personal lives so they could have careers just like men. I admire her because the social change she was making was done by just by doing the work. She didn’t write about it, or talk about it. She just did it. There’s still more work to do, especially in the design industry. Most ad agencies are run by men and the creative is designed mostly by men, even for products and services that are specifically for women. I’d like to change that and design for the women that control 85% of the consumer spending. Lucky for me, I live in a time and place where a lot of walls have been broken down. I get to own a design business, work with big clients and sign my real name in business correspondence. That makes me very grateful. Mary is a designer and founder of Dee Design Company. 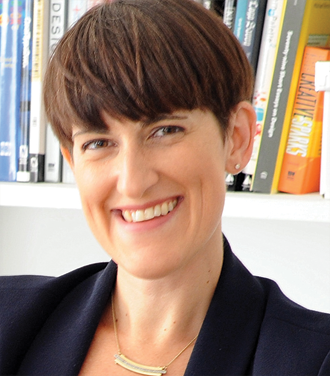 She works with companies like Target to design products and services for women.